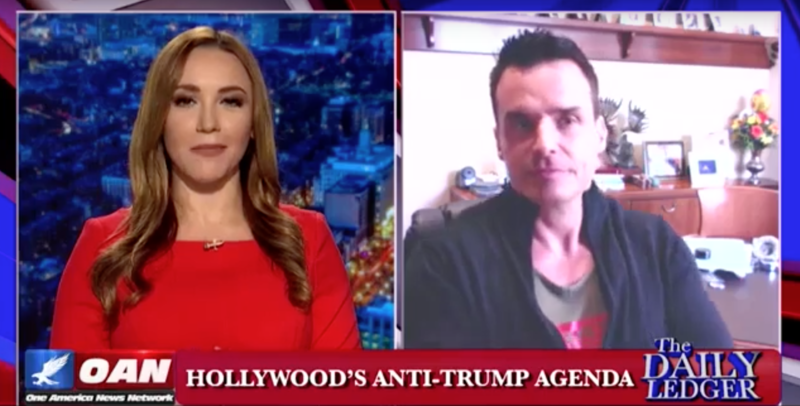 Actor Antonio Sabato Jr. goes after Snoop Dogg and Hollywood liberal elites. “We should be behind our President – he won, fair and square,” Sabato Jr. stated at the beginning of his interview with the Daily Ledger, “he’s the leader of the free world and he’s working extremely hard,” he continued. Sabato Jr., the Italian-American actor and model known for his role on General Hospital, came forward publicly during the Trump campaign as a supporter. He spoke at the 2016 Republican National Convention supporting then GOP presumptive nominee Donald Trump. I think this country allows you freedom of speech. Anybody should be allowed to say whatever they want. When you’re in my business, you can’t talk about [conservative] politics. You just can’t. You’re attacked viciously in a way that I’ve never been attacked before. In his recent interview with the Daily Ledger, Sabato Jr. spoke on his talk at the RNC, “It was the right thing to do . . . I knew President Trump was gonna win from day one,” he goes on to say that he was verbally attacked about his politics and says that Hollywood is hesitant to hire him despite his over thirty-year career. Sabato Jr. went on to say, “I’m seriously thinking – really thinking – about running for Congress.” He followed up by stating that if he does run, he is going to win and that he’s going to fight back against the disgusting behavior of his self-righteous peers. When discussing his colleagues in the industry and the obvious liberal bias, he said he “can’t take it anymore”. If Sabato Jr. chooses to run let’s hope he succeeds in his bid for a Congressional seat.